Grassy fields increase the risk of rodents. Mice are a natural enemy for recreation vehicles, travel trailers and tent trailers. Unoccupied RV's are the most susceptible to a rodent invasion, but occupied dwellings also are at risk. The RV provides shelter, warmth and material for bedding for rodents. Preventing an invasion typically requires multiple strategies to deter and trap the rodents. The location of your RV influences the risk for mice. Avoid parking or storing the vehicle near grass fields and wooded areas. These provide great habitat for rodents. Concrete and gravel parking spaces are a better bet. Indoor storage is ideal, but not always an option. If you must park near a field, prepare a line of defense to deter the rodents from your vehicle. Scent based deterrents are surprisingly effective for mice. Line the outer perimeter of the RV with mothballs as a first line of defense. Next, enter the RV and look for gaps where the mice may enter. Focus on the ventilation system and the interior floor perimeter. Stuff dryer sheets in the gaps to prevent mice from entering. Replace the drier sheets with fresh ones every couple of weeks to maintain a potent smell. Outdoor cats are excellent for rodent control. The cat will control the rodent population around the RV and your home. You must provide the cat with a place to sleep and some food and water. The cat will hunt at night and leave visible signs of the dead mice. Traps and poison are often necessary inside the RV. Spring loaded traps are very effective but require maintenance. Add fresh cheese or peanut butter to the traps on a weekly basis. Also, check the traps often to prevent dead mice from decomposing in the RV. Poison is very effective but requires careful use. 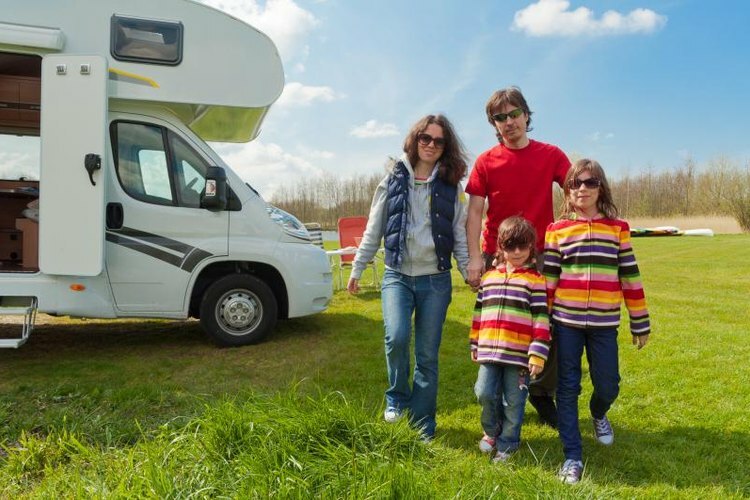 Do not use poison while you inhabit the RV, or if children or animals are present, but consider it when the RV is being placed in long term storage.